The Outer Banks Community Foundation is offering a strategic planning workshop for local nonprofits on Friday, October 16 from 8:30 am until 4:00 pm at the UNC Coastal Studies Institute in Wanchese. Click here to register online. Led by trainer and advisor Jeanne Allen, the workshop will focus on strategic planning for charitable nonprofits of all shapes and sizes. The course will cover all of the key components of an organizational strategic plan, the essential practices of the planning process, and the practical tools a nonprofit can use to evaluate itself. The class will compare and contrast such tools as the SWOT Analysis, Sustainability Matrix, and Strategy Canvas. Participants will also review samples of actual strategic plans from real nonprofits in order to gain a better vision of the end result. Registration for the workshop is just $15 per person for any board or staff member representing an Outer Banks charitable nonprofit. The fee includes a full lunch and morning coffee. Jeanne Allen is a BoardSource Certified Governance Trainer with 30 years of experience in the nonprofit sector. She is a trainer, speaker, consultant, and advisor to nonprofits on such topics as board development, strategic planning, and social media strategy. She has worked for a variety of local and national nonprofits, including the Girl Scouts USA, Susan G. Komen of NC, and Clean Energy Durham. As an Instructor with the Duke University Nonprofit Management program, Allen teaches classes on succession planning, board governance, volunteers, and, of course, strategic planning. 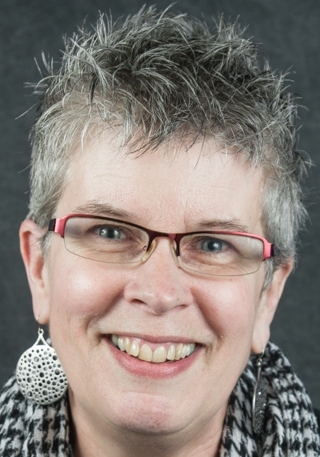 Allen is a Newswire Contributor for Nonprofit Quarterly, and she is on the Editorial Board for the Nonprofit Technology Network magazine CHANGE. Hailing from the Triangle Region of North Carolina, Allen is an active leader with the nonprofit tech group NCTech 4 Good. Space is limited for the workshop, and advance registration is required by Monday, October 12. Download the flyer here, or register at https://www.obcf.org/i-have-a-need/nonprofit-workshop-registration. Flat Top Painting Sold at Arts Council Gallery in Manteo 4th Annual Video Contest!